With so many contradicting and strong opinions on about what women can and cannot eat while pregnant, we decided to reach out to a nutritionist to sort fact from fiction. 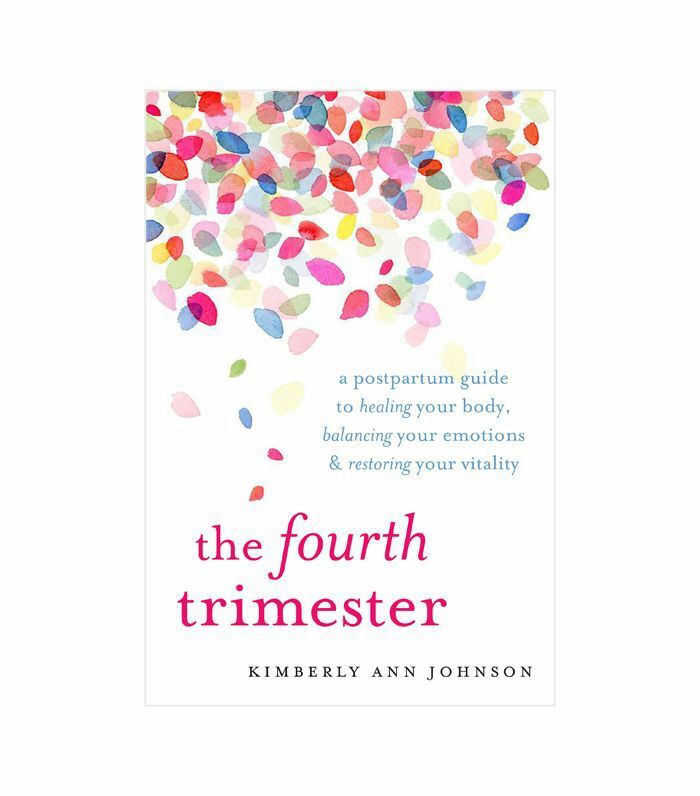 Since we wanted to gather some science-backed information to help pregnant women make their own informed decides rather than creating a rigid list of dos and don'ts, we turned to Kimberly Ann Johnson, a nutritionist and author of The Fourth Trimester, for a fresh take. "Rather than tell people what to eat and what not to eat, I really prefer an embodied approach where women listen to their bodies and their cravings and desires. For instance, I was a vegetarian for 20 years when I became pregnant. During pregnancy, I craved meat—I salivated when I walked by rotisserie chickens, and all I could think of was hamburgers, so I followed that and ate the meat my body craved," she told MyDomaine. "Since then, I realized that I predisposed myself to the postpartum difficulties that I had because I had not had a sufficiently mineral-rich diet with enough of the right protein for my connective tissue," she adds. "Repairing after birth was more difficult. As a result, I'm really passionate about women getting adequate protein, fats, and leafy vegetables while pregnant. If women eat well in pregnancy, they will not need to double down on prenatal vitamins, and in fact, in some cases, prenatal vitamins may be more harmful than helpful." Learn more about Johnson's suggestions and professional wisdom below, and then check out the delicious recipes with healthy foods to eat while pregnant. "One misconception is that you're eating for two while you're pregnant, meaning 'eat anything you want at any time of day,'" she shares. And while this is a fun little quip, Johnson thinks it's often misunderstood or taken too lightly. "The quality of food that you eat is important because the building blocks of all of the baby's systems are being formed," she explains. "High-quality fats are essential—and a lot of them. I'm not talking an extra tablespoon of almond butter; I'm talking a half a stick of butter a day." In terms of more controversial issues that the medical field hasn't quite sorted out yet, raw milk has been getting a lot of attention. The Weston Price Foundation recommends a quart of raw milk a day for pregnant and nursing mothers, while the American Academy of Pediatrics advises pregnant women, new mothers, and babies against consuming raw milk because of harmful bacteria found in unpasteurized products. This is the same logic behind avoiding uncooked eggs and fish. When it comes to foods that should absolutely be avoided, Johnson says sushi is high on the list due to potential parasites. She also says that it's best to dramatically cut back on carbonated drinks, caffeine, white flour, and processed foods because they mess with your body's ability to properly absorb nutrients, which is key when you want to heal and build a healthy microbiome for yourself (and by extension, your baby). Making these dietary changes is difficult, but don't stress too much. "While this all may sound rigorous, you don't have to be perfect," she reassures us. "It won't hurt to have a cup of coffee every once in a while (but one is max), and it would be best to have food first if you are going to have coffee." If you do choose to have a cup, make sure you're also having it with some fat. Bulletproof coffee is great because your blood sugar doesn't get too affected." Johnson's major rule is that women make sure that they can metabolize folic acid. "If a woman has the MTHFR mutation, she will need methylated vitamins and needs folates instead of folic acid," she notes. "It's always better to get nutrition and vitamins from mineral-rich, collagen-dense foods." So on that note, scroll through some of the recipes below for delicious recipes with nutrient-rich foods to eat while pregnant. This protein-packed porridge from The First Mess contains steel-cut oats, iron and calcium-rich quinoa, milk, white lentils, nut seed butter, chopped nuts, and fruit compote, plus plenty of delicious ingredients for flavor, like vanilla powder, ground cinnamon, cardamom, nutmeg, and ginger. If you're someone who loves sunny-side-up eggs with a super-runny yolk, coping with the temporary hiatus will be easy with these delectable breakfast tacos from Salt and Wind. Since they're scrambled, you won't have to worry about consuming the harmful bacteria like salmonella. These tacos come complete with potatoes, avocado, cooked eggs, Monterey Jack cheese, and salsa. If you love starting your day off with a warm cup of coffee and want to switch things up from your new go-to decaf latte, try this soothing and creamy lemon lavender tea latte from The First Mess. Opt for caffeine-free rooibos or chamomile tea. For lunch, enjoy this Buffalo cauliflower tahini salad from The First Mess. Packed with avocado, cooked chickpeas, celery, and lettuce, this is a great way to load up on folate, fiber, and protein. According to Josh Axe, MD, the dressing itself is also rich in many healthy things like phosphorus, lecithin, magnesium, potassium, iron, and calcium, all great for immunity and heart health. When you want something heartier than a salad for lunch that's still convenient to eat on the go, try these Greek chicken pita wraps from Half Baked Harvest. This recipe calls for leafy greens, lemon, potatoes, cucumbers, avocado, kalamata olives, pistachios, garlic, and fresh basil. For a quick dinner on a busy weeknight, try this eggplant and almond butter tofu rice bowl recipe from Minimalist Baker. Though it's vegetarian-friendly, the protein-rich grilled tofu and eggplant (a good source of fiber and vitamin B6) make it a great option for meat eaters as well. When you're craving a piece of meat, cook up this barbecue steak recipe with chimichurri sauce from Stuck in the Kitchen. It goes well with pretty much every side dish, so you can pair it with various things to keep things interesting when you inevitably make it again and again. If you have a sweet tooth after dinner, whip up this fluffy angel food cake recipe from How Sweet Eats. It's super light and doesn't have as many processed fats as other decadent desserts, making it the best of both worlds. This one is also refreshing since the thin layer of icing boasts grapefruit in all its citrusy glory.